The name “Northwest Territories” has had a long history, with beginnings in the early fur trade. On May 2nd, 1670, the Hudson’s Bay Company (HBC) was granted a charter to conduct trade in ‘Rupert’s Land’, which was defined as the area drained by the rivers flowing into Hudson Bay. 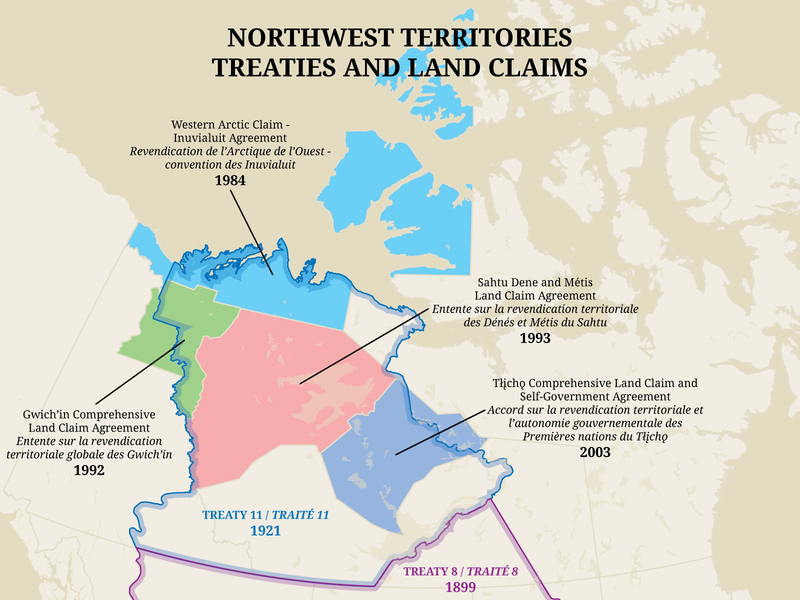 Historically, the term “North West Territory” was loosely applied to the vast lands north and west of Lake Superior. 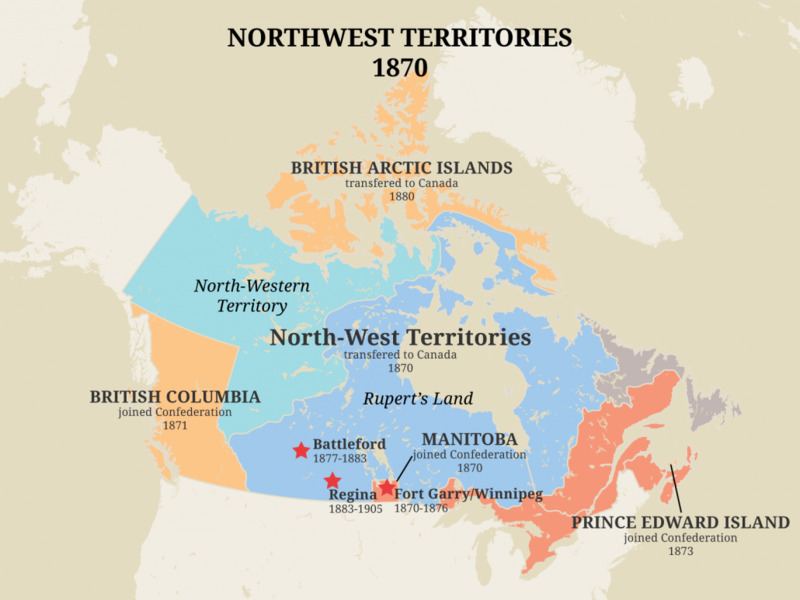 The region to the west and northwest of Rupert’s Land was generally referred to as the “Grand Nord’ by the traders. The North West Company opened this region to the fur trade with the Cree, Dene and Inuit inhabitants in 1778 when Peter Pond crossed the Methye Portage, and they held a virtual monopoly over trade in the area until 1815. 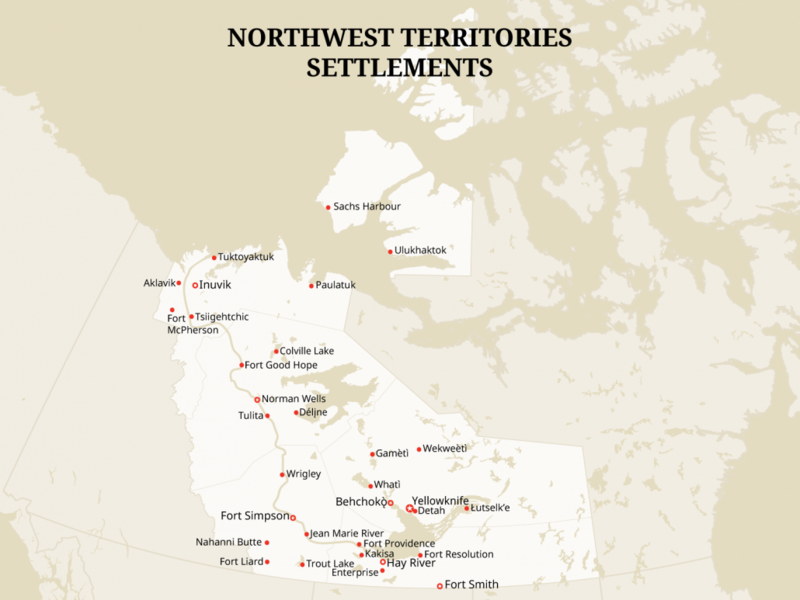 The territory’s name first became official in 1859 with the British “Indian Territories Act” which established British jurisdiction over land not in Rupert’s Land or British Columbia, which was called the “The North-Western Territory.” This included all of what is now the Yukon Territory, the provinces of Alberta, Saskatchewan, as well as parts of Manitoba. In 1866 the colonies of Vancouver’s Island, British Columbia, and Stickeen Territory were joined, reducing the size of the The North-Western Territory. In 1868 the Canadian Parliament passed the “Rupert’s Land Act”, which authorized the acquisition of Rupert’s Land and The North-Western Territory from the HBC for the sum of £300,000. 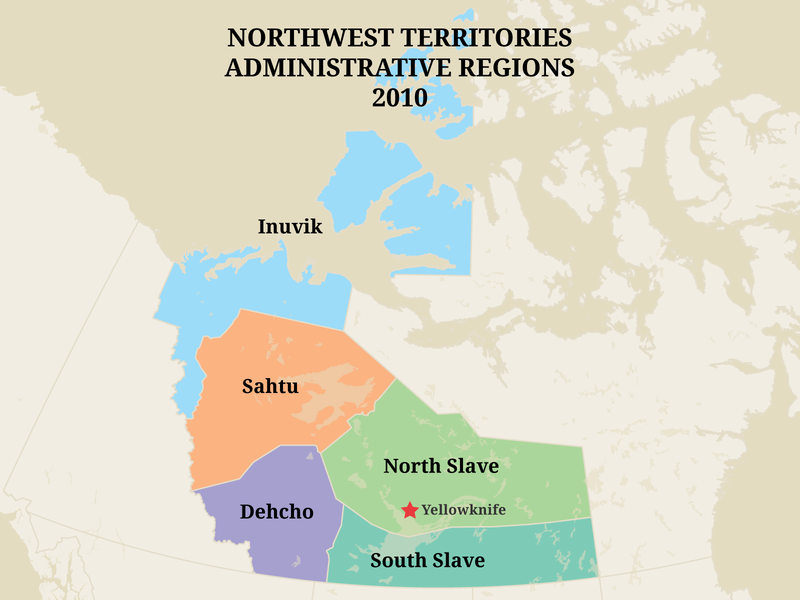 On June 23rd, 1870 an Imperial Order-in-Council transferred Rupert’s Land and The North-Western Territory to Canada, when it was renamed “The North-West Territories.” The area included all of present-day Yukon Territory, Alberta, Saskatchewan, and parts of present-day Northwest Territories, Nunavut, Manitoba, Ontario, Quebec, and Newfoundland and Labrador, but excluded most of the Arctic Islands. 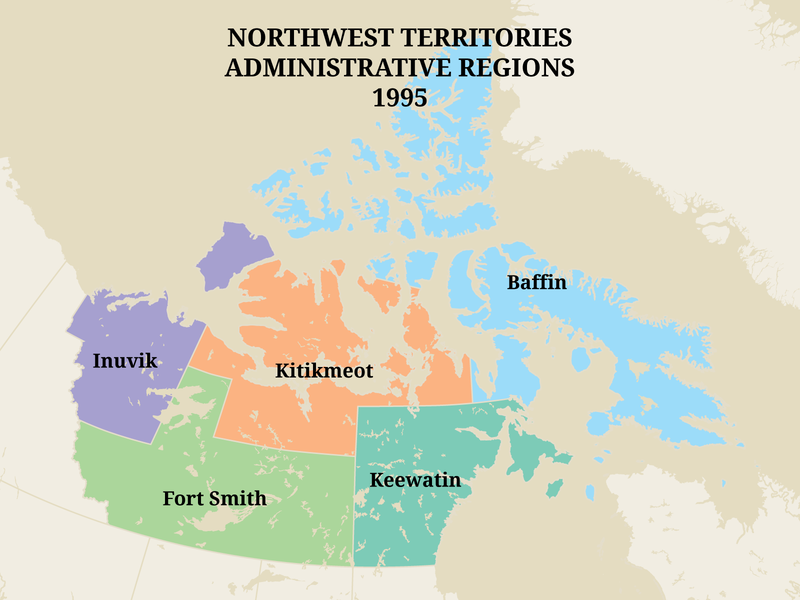 With the creation of the new District of Keewatin in 1876 the North-West Territories is split into two parts, bracketing the new District. In 1880 an Imperial Order-in-Council transferred British title to the Arctic Islands to Canada, and these were added to the geography of the North-West Territories. 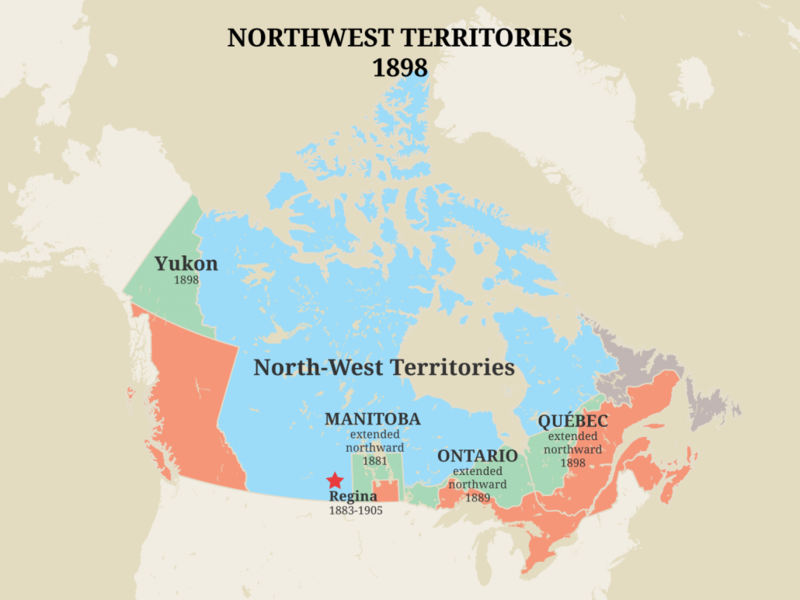 In 1881, Manitoba’s boundaries are extended to the north, decreasing the size of the North-West Territories. In 1882 Districts called Assiniboia, Alberta, Saskatchewan, and Athabaska were created within the area of the North-West Territories. 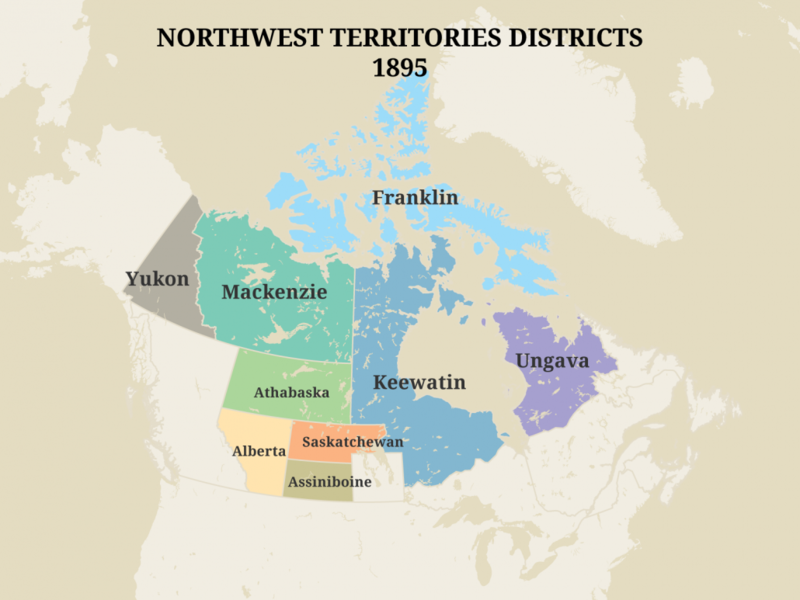 In 1895 the North-West Territories consisted of the following Districts: Yukon, Mackenzie, Franklin, Athabaska, Alberta, Saskatchewan, Assiniboia, and Ungava. In 1898 the Yukon Territory was established as a separate territory, and Quebec’s boundary was moved north the same year. 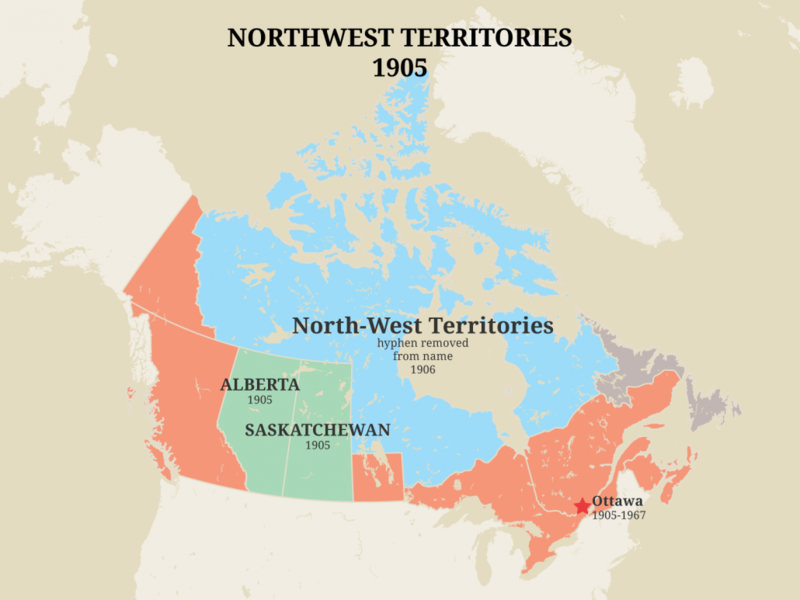 In 1905 Alberta and Saskatchewan were created from the southern portions of the North-West Territories. In 1906 the Keewatin is transferred back to territory, and the hyphen was dropped with the passing of the “Northwest Territories Act” (c.62, RSC 1906). 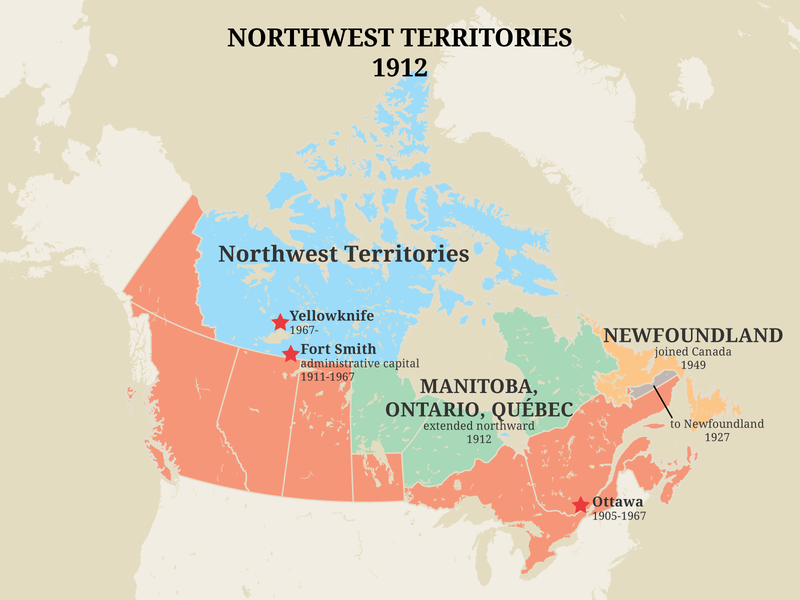 In 1912 the borders of Manitoba, Ontario, and Quebec were moved north, leaving only the Districts of Keewatin, Mackenzie, and Franklin in the Northwest Territories. 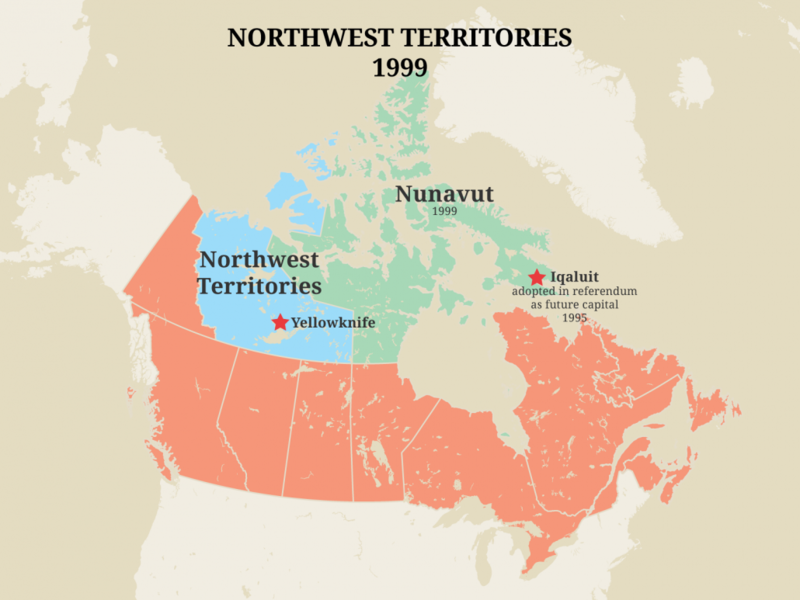 Thereafter, the NWT became synonymous with Canada “north of 60”. In 1925, on the sector principle, the boundaries of Canada were extended to the North Pole, vastly increasing the size of the NWT. The last major change to the geopolitical map of the Northwest Territories occurred on April 1, 1999 with the creation of Nunavut. Since then, the remaining District names have fallen out of use.